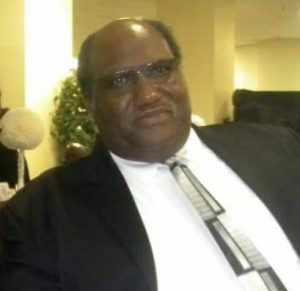 Our sincere sympathy goes out to the Stallworth family, for the loss of their loved one Elder KENNETH STALLWORTH who passed away at his home July 22, 2018 in Andalusia, AL he was 62, born January 7, 1956. Elder KENNETH STALLWORTH was a longtime employee of Andalusia Elementary School (AES) and loved by all (students and faculty). He lived his life in a Godly manner and will be missed by his Church family also, Let us keep the family in our prayers during their time of mourning. My heart is so heavy Sincerest condolences to the Stallworth family. We offer you our heartfelt condolences. To be absent from the body is to be present with God. We bow in humble submission to the PERFECT WILL of God. His memories he created with many will live on in us forever. The K in KENNETH STANDS FOR KIND, KINDNESS and the T STANDS FOR TENDER, TENDERNESS qualities that he exhibited throughout his life. He was the wind beneath our sails. He lived his funeral every day. He completed the assignments God gave him to do. He called him home from his labor to his reward! ELDER KENNETH STALLWORTH WELL DONE THY GOOD AND FAITHFUL SERVANT! The tears we shed are not tears as if we don’t have hope, for we know that our Redeemer lives and He will comfort us through this transition. We encourage the family to continue to look to the hills from where our help comes from knowing that EARTH has no sorrow that HEAVEN cannot heal! You have our sincere heartfelt condolences on the loss of your loved one. May the many memories he created comfort all at this time. To be absent from the body is to be present with the Lord. He has been called home from labor to reward. Well done, well done! We offer you our heartfelt condolences in the loss of your loved one. May the many memories he created with you help you to find the comfort you need at this time. I’ve known Kenneth for almost 40 years and as he continued to grow with his relationship with God he exhibited Godly characteristics. He has completed the assignments; now he can rest from his labor and enjoy being in God’s presence! RIP! We offer you and the family, our heartfelt condolences in the loss of your loved one. May God continue to hold each of you in the hallow of his loving arms. Kenneth was ready to be offered, and the time of his departure was at hand; he fought a good fight; and he finished his course, and he kept the faith: So we pause today to celebrate KENNETH, a life well live. RIP!